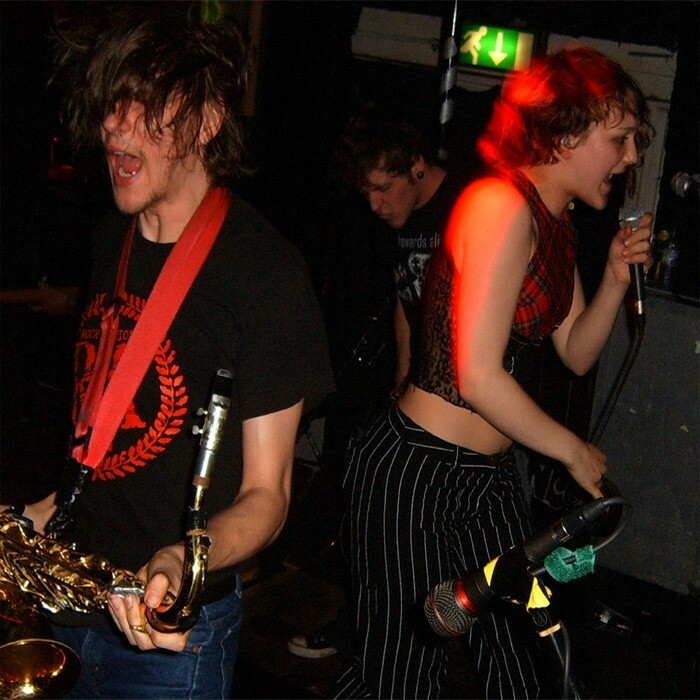 NoComply were a metal-influenced punk rock sextet hailing from Plymouth, Devon in the south of England. They took their name from the skateboarding trick known as "no comply". On the 23rd January 2006, NoComply announced they would be calling it a day as a band. NoComply formed in the autumn of 1998. The founder members were Kelly (vocals), Jon (guitars), and Nick (bass). The final line up was completed by Si (drums), Oz (trombone), and Matt (Saxophone). Early incarnations of the band were driven by covering the likes of Pennywise and AFI in Jon’s bed, all learnt from the internet. In these early years the band produced three demos Never Unknown, Bring It On, and Should Have Guessed. These early recordings were ska-punk fueled & hinted as to what greatness was to come. The band honed their sound as they introduced a brass section into the proceedings and in 2001 recorded their masterful demo Misuse Of Control. This three track was an altogether different beast from their earlier sessions. It was heavy, brooding with Kelly’s powerful vocal range really beginning to shine. The band’s evolution took them into the altogether harder territory of ska-core pioneered by underground legends like CapDown & Link 80. Misuse Of Control created quite a stir on the UK scene & the band went straight out on the road with Asian Man Records' MU330 on a mammoth UK trek. It wasn’t long after that the band came to the attention of the Big Cheese Magazine offshoot Deck Cheese Records & they joined to their roster in the summer of 2002. NoComply headed into the studio in August 2002 to record three new tracks for their debut EP on Deck Cheese. Two of the tracks from the aforementioned Misuse Of Control were added to finish the EP that is Your Life (Is Your Direction). This EP was released to critical acclaim in September 2002, the new recordings heavier and more powerful than ever before. NoComply’s unique brand of "metallic, horn fueled punk rock" had arrived. The next task for NoComply was to conquer the UK & they hit the road for an almost solid eighteen months. Along the way they supported the likes of RX Bandits, Capdown, Lightyear and even pop punk pretty boys Good Charlotte. This time spent on the road & on stage earned NoComply the reputation of being one of the most incendiary live acts on the punk circuit. Attendance swelled & audiences became more frenzied as the word spread. In the summer of 2003 NoComply made their first trip over to mainland Europe with Honest Don’s nerd core boys Nerf Herder. Of course NoComply won over many in the crowds of our European neighbours. Upon their return NoComply were invited to the BBC’s Maida Vale studio to do a session for Radio 1’s The Lock Up show at the personal request of DJ Mike Davies. In November 2003 the video for Your Life (Is Your Direction) debuted at number 2 in the Scuzz TV chart, only being pipped at the top slot by Funeral for a Friend. NoComply recorded their full length debut album for Deck Cheese records entitled With Windmills Turning Wrong Directions at No Recording Studios with John Hannon (Five Knuckle, Adequate 7) at the production helm during February and March 2004. The album was released in the UK to great critical acclaim across the board from mainstream magazines and fanzines alike. The band opened the UK leg of the 2004 Deconstruction festival and also headlined the second stage at the Hell’s Angels Bulldog Bash. NoComply also found themselves appearing at the Leeds leg of the 2004 Carling Weekend festival. Further UK touring was followed by a tour of mainland Europe. 2005 saw the band appear at the Radio One Lock Up Stage of both legs of the Carling Weekend followed shortly by two support dates with Alkaline Trio and Me First and the Gimme Gimmes in Germany.